Find the rental company that serves your location. You can search using any reliable search engine. Search using the city name as well as plant, tree, rental in you search query. 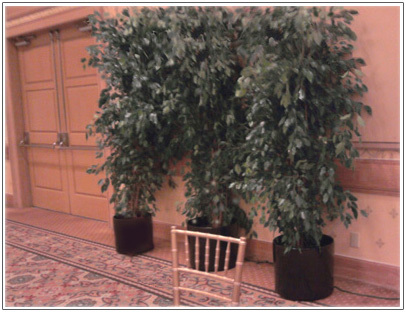 For example: tree, rental, San Francisco, ficus with lights (or any special rental feature like living arch or orchids or ferns). 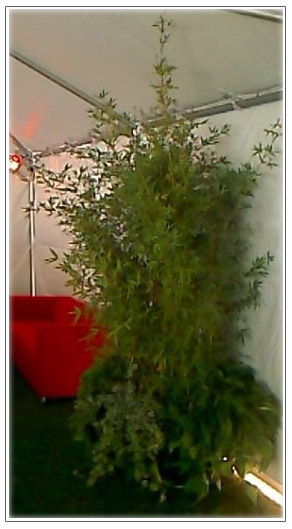 Ask for pictures of the plants and trees being used. 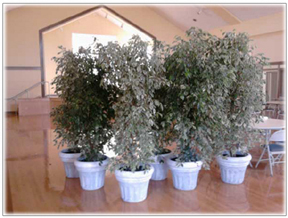 Ask for clear photos of not only plants but the decorative containers that will be used. Make sure the plants look healthy and vibrant. Some rental plants become scarred from being overly used, being moved around from one client to another and from poor care and rough treatment. Be sure to use a company that has insurance. Plants can fall and do damage to flooring, leave stains. If you have a choice, use the plant rental company that is fully insured for any damages. Book your plant rental well in advance and ask for an advance booking discount. Most plant rental companies will offer up to 10% off for advance booking. 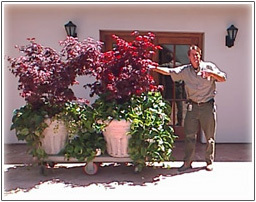 You're likely to find plant rental companies offer similar pricing. Consider special packages and ask the plant rental representative about ways to save–you can see a difference in price. 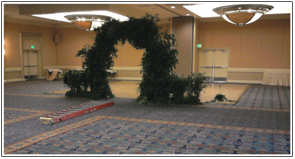 Make it known to the plant rental company the name and phone number of the assigned event coordinator or someone to be in charge of the location for plant rental arrival, set up and pick up. Letting the plant rental company know the name of the contact person will allow for problems to be solved, should any arise. Provide special instructions like available parking and best doors to use, or stairways or elevators. The plant rental company should also know the time windows, if any, for pick-up and delivery. Our "Living Base" is an understory of Ivy and Ferns that covers the base of the tree and makes a small island around it. 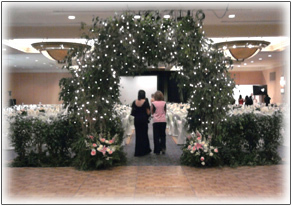 Elegant and lush, these trees–like giant bouquets–bring opulent energy to your event setting. 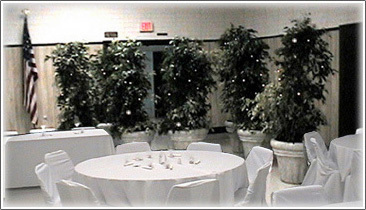 Rent or lease big Ferns for lecturns, podiums and weddings, Living Wedding Arches (12 feet tall) covered with Ivy and Ferns – "living walls"
Plant service leasing tree rental.